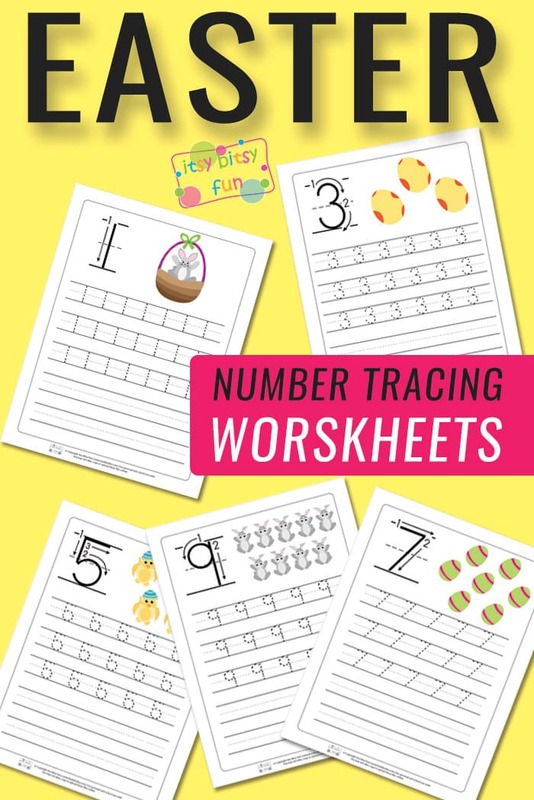 These Easter Number Tracing Worksheets are a great way to reinforce previously taught hands-on number learning activities. In preschool, pre-kindergarten, and kindergarten, learning numbers 1 through 10 is a very important math skill. 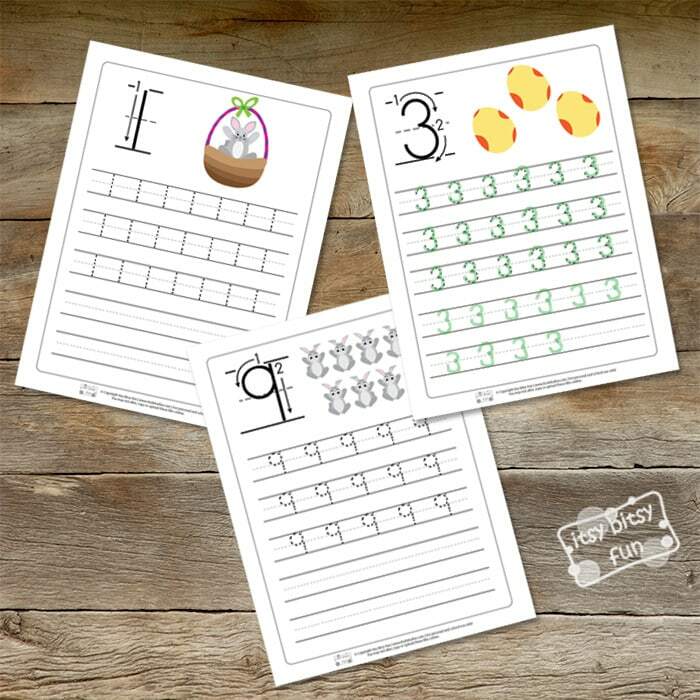 The Easter number tracing worksheets allow children to practice multiple skills. Students can learn to identify and write numbers, as well as counting the objects on the page for one-to-one correspondence. 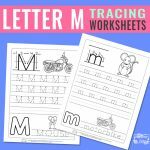 There are many ways to use the tracing worksheets for preschool to kindergarten. The sheets can be laminated and used in a center, allowing students to practice the skills repeatedly. Another way to use these sheets could be for homework or as part of a spring break packet. Print the worksheets in color to attract and maintain the student’s attention. Print the worksheets in black and white and you can have the student color each of the pictures on each page. 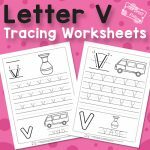 The Easter number tracing worksheets have a pictorial representation at the top such as an Easter bunny, chicks or eggs. Beside the picture, the corresponding number is written largely with numbered arrows directing the child how to properly write the number. The rest of the worksheet is five lines of practice space. The first three lines are tracing and the last two lines are blank. 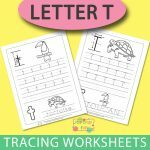 Teachers or parents of various grade levels can benefit from these worksheets. Even if a student can identify the numbers, consistent writing in a sequential order will ensure that students know the correct formation and can independently write numbers 1 through 10. 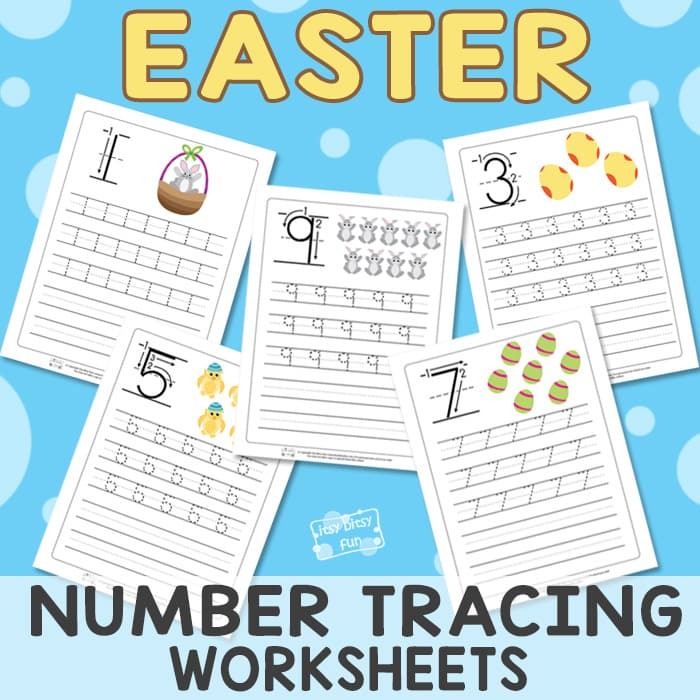 Get your Easter Number Tracing Worksheets here. 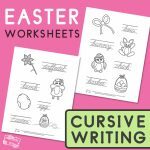 Check out the Easter Color by Numbers Worksheets and enjoy playing with a free pack of Printable Easter Masks.